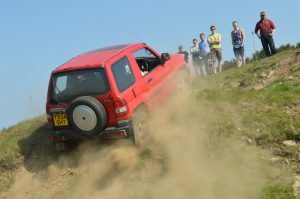 The Yorkshire Off Road Club Ltd is a friendly club open to all makes of road-going 4×4 vehicles. 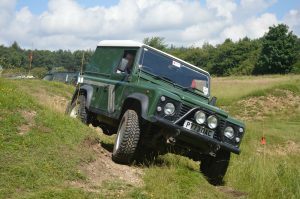 We offer a range of relaxed, sociable, off road driving events throughout the year for you to enjoy. Where possible we will combine off road driving with camping/caravaning and other social activities. Our events are set out to be none damaging and members drive to and from the events. Current events being planned include off road trials, orienteering and navigational events, off road driving days and “green lane” trips. For a brief description of the events that we hold go here. The majority of our off-roading takes the form of RTV trials, these are designed to allow everyone from the novice with standard road-going 4×4 to the more experienced driver with a modified vehicle, to explore their potential in a non-damaging, mildly competitive and enjoyable way. We hold monthly events throughout Yorkshire and occasionally neighboring counties with a membership that covers a similar area. Even if you don’t currently own a 4×4 you are very welcome to come along and see what it’s all about. For novices, we would normally be able to arrange for you to either ride-along with an experienced club member or have one ride with you to offer guidance if you like so that you can learn the ropes. Full details of the vehicles we allow to take part in our events are available on our eligibility page. We hold a monthly club night (last Tuesday of each month) in the north Leeds area where members can plan events, propose events and exchange information and views whilst at the same time enjoying a pint or two in an informal atmosphere. Coffee and soft drinks are also available for those who can’t persuade someone else to drive ! See the events page for details and directions of the next club night. As a small club we have not seen a need for a monthly magazine as news of events and activities can be provided much more efficiently (and cheaper, keeping membership fees down !) via this website and via our Facebook page and discussion group. We encourage all members to attend as many of our events as they can and let us know if we are not providing the events they wish to attend. Members are encouraged to register on and use the club forum as this is the main source, outside the club night, for information about club events as well as allowing discussion and announcements. When you register please enter your membership number where requested as this will speed up the process of adding you to the member’s group – giving you access to areas of the forum that are hidden from the general public. As well as allowing you to post adverts and see private sections of the forum, your membership will allow you to create and share your own albums in the club image gallery as well as upload pictures to event albums.